Looking for private in-home or in-studio Opera Voice lessons? Our Holly Springs teachers are ready to get you started. Find your teacher today! I have taught students within a wide age and skill range interested in classical, musical theater, and contemporary singing. Learn to sing comfortably and beautifully in choir AND at karaoke night! I teach voice at the the Purdue School of Music in Fort Wayne and sing professionally throughout the Midwest. I have considerable experience teaching students of all ages, and I love helping singers of all experience levels find joy through singing. I have Master of Music from the University of Michigan, and I consider myself a crossover artist. Singing music of all genres, including pop, jazz, Celtic, folk, and musical theater, has given me respect and appreciation for music of all kinds. As an active performer, I understand many aspects of singing (including stage fright) and am happy to assist my through those challenges as well as the mechanics of the voice. e! To find out more about me and my teaching style, search for me on the TakeLessons blog, for which I've written extensively. 30, 45, and 60-minute lessons available; 30-minute lessons recommended for children below the age of 14. 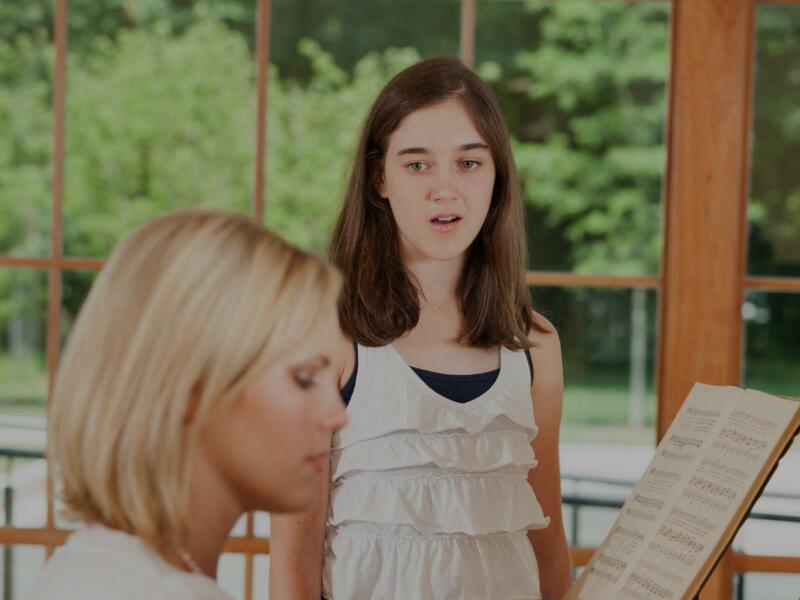 Lessons begin with vocalization with specialized warm-ups targeting technique (proper breath control, vowel clarity, and relaxed singing), while the second half of lessons is spent on music. You may choose your own music or ask for suggestions. A keyboard or piano must be available for in-home lessons. Students should also keep a lesson binder, notebook, or tablet for music and note-taking. Some music may have to be purchased, but I can supply some, especially in classical/musical theater genres. I specialize in classical singing, musical theater, jazz, and pop genres. Elaina is incredibly talented yet she remains accessible to her students. If you’re looking for a patient teacher that can improve your singing, then you cannot do better than her. I teach singers of all genres (country, classical, pop, bluegrass, rock…) to sing with confidence and freedom!